Who knew getting younger looking, healthy looking skin was that easy? Are you looking for a procedure that will ensure collagen and elastin stimulation? Look no further! 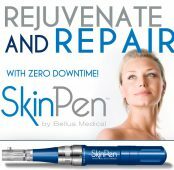 With Skin Pen you can have new looking skin in just a few treatments! 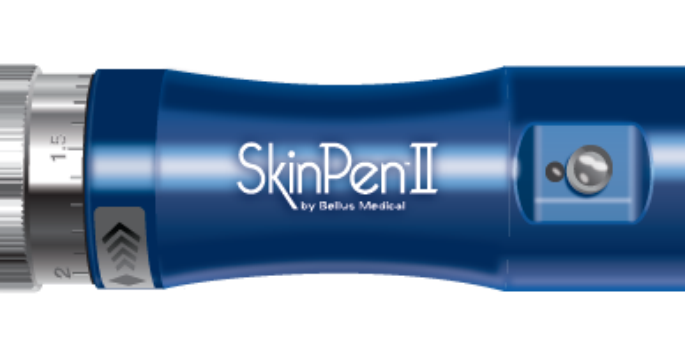 Skin Pen is a nifty little device that creates microscopic injuries in the dermis sending signals to collagen and elastin to reboots’, creating healthier looking skin as in smaller pores, even skin texture and even pigmentation. It can also reduce the visibility of scarring! Acne scars, stretch marks, fine lines and wrinkles, all of that jazz! A series of at least 3 treatments over a period of 4 weeks would be best to get results you are looking for, and if you love it, doing more wouldn’t hurt! It can be done on the face, neck, and décolleté, for that all around even tone and texture. The procedure itself takes an hour, 20 minutes for numbing then the rest for the treatment itself. Skin Pen is good for all ages and skin type; we just recommend you do it on a day where you are able to relax for there is just a little bit of downtime. The skin will be red and feel like deep sunburn for the rest of the day, nothing should be put on the face besides a rescue cream we send you home with and water. Avoiding the sun would be the best bet for your skin during this time period. The following day you are able to go about your daily routine as necessary, you might still be a bit flushed looking – just make sure you wear sunscreen! How The SkinPen (Microneedling) can reduce the appearance of stretch marks..